My father recently decided to start scanning all of our baby and childhood photos using his HP flatbed scanner at home and quickly realized that it would take years to scan all the photos into the computer if he did it one by one. He then looked into buying some more expensive equipment that could scan more photos at a time and faster. There are quite a few options out there for projects like this that won’t break the bank. However, you’ll still need to be ready to spend anywhere from $200 to $1000 if you really want to scan a large number of photos or documents at home. You can use an online photo scanning service, which usually requires you to ship your photos to a company, either within the US or outside. The WireCutter already has an in-depth article on which photo scanning service is the best to use, so check that out if you want to go that route. These online services are also useful if you need to do any kind of photo restoration. The list below is not in any particular order, so look through each before you decide. Again, the emphasis here is on speed and decent quality. You can always get something like a Doxie Q for less than $200, but it’s way slower compared to any of the scanners below. You only need this kind of power below if you need to scan thousands of photos or thousands of documents. It doesn’t make much sense for a small batch. After I finished scanning all of my photos, I continued using my expensive scanner to scan in all the papers my kids bring back from school. 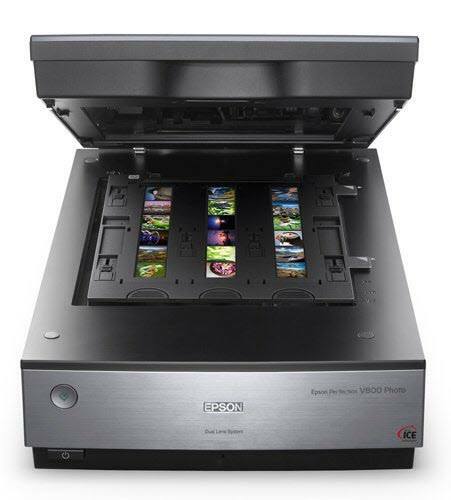 The Fujitsu FI-7160 is a top-of-the-line duplex color scanner that will blast through your photo collection in no time. 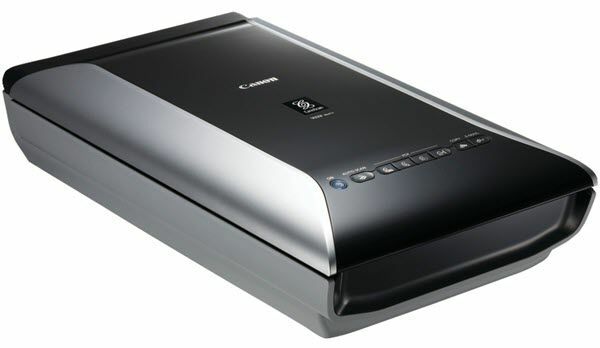 It’s currently around $880, which is a pretty hefty price tag for a scanner. It’s got a 4,000 page daily duty cycle and a 80 sheet automatic document feeder. 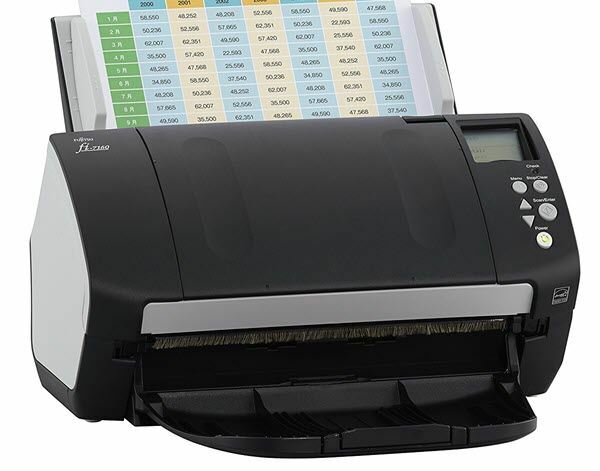 It can scan up to 600 dpi, which is nowhere near the resolution of the photo-oriented scanners mentioned below, but still good enough for most people. The best part of this scanner in my experience is the fact that you can feed it photos of different sizes at one time. You don’t have to worry about sorting everything out first or anything like that. Just dump the documents into the scanner and scan away. It also does a great job with documents and photos that aren’t perfectly smooth and straight. It can handle bends and crumbled papers exceptionally well, which really comes in handy. Another great scanner is the Epson FastFoto FF-640. This scanner claims to be the fastest photo scanner in the world (1 photo per second). Whether that’s true or not really doesn’t matter. It’s super fast and can scan at a high resolution (600 dpi). The other big pull for this scanner is the fact that it is only $650, which is quite a bit cheaper than the Fujitsu. As long as you are scanning at least 1,500 photos, the Epson is worth the money as it’ll cost about the same sending the photos to an online service. The software that comes with it is also intuitive to use and easy to set up. The Epson can only handle about 30 5×7 prints in the ADF, but it can handle different sizes at the same time. If you want to scan 8×10’s, you’ll have to do those one at a time, though. The Fujitsu can handle 8×11 and smaller prints all at the same time. The color accuracy is not as good as you would get from a photo-oriented scanner, but it’s a worthwhile tradeoff if you need to scan a lot of photos fast. Also, the software is simple, but advanced users will find it too limiting. You’ll have to use another app if you want to fine-tune the photos. 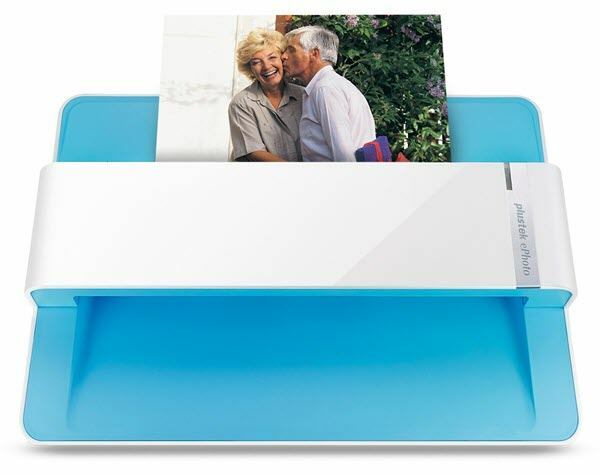 If you don’t want to spend that kind of money, a cheaper option is the Plustek Photo Scanner, which comes in at $200. It can scan 4×6 photos in about 2 seconds and 8×10 photos in 5 seconds. You do have to insert photos one at a time, but it keeps scanning without having to stop after each photo. The resolution is capped at 600 dpi, which is similar to the other scanners. The overall quality and color accuracy aren’t as good as the scanners listed below, but for the price and convenience, it’s not a terrible option. The scanners listed below are geared more towards photo enthusiasts who need absolute color accuracy when scanning photos, slides or film strips. Quality is more important than speed for these scanners. For those looking for absolute color accuracy and incredible quality and resolution, you best choices are the Epson V800 and Epson V850 Pro, which are $733 and $999, respectively. In addition, these are for those who need to scan slides and film strips. These go up to a ridiculous 6400 dpi and have a lot of other advanced features to make sure there is minimal distortion when scanning the image. These scanners will also automatically touch up your photos to remove dust and scratches. Even though they won’t be as fast as the ADF scanners above, these are still fairly quick because there is zero warm up time due to LED lights. 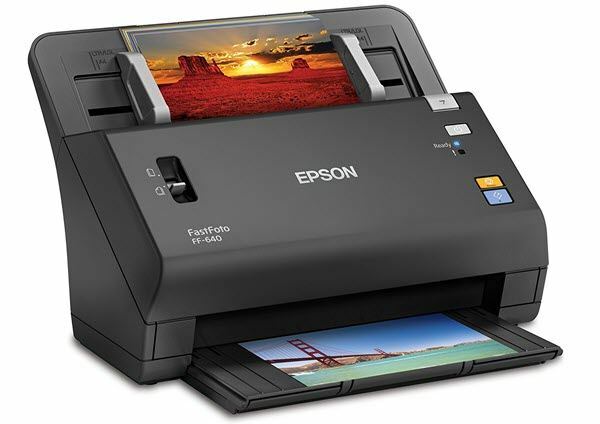 A cheaper option is also the Epson v600, which costs about $210. The Canon CanoScan 9000F only costs $170, but packs a lot of features. For film, it maxes out at a super-high 9600 dpi. For everything else, it can go up to 4800 dpi. This scanner also uses LED lights, which means there is no warm up time. You can keep scanning back to back without stopping. For under $200, it’s the cheapest, yet highest quality scanner out there. It has a Fare Level 3 feature which can remove scratches and dust, along with other enhancements, such as color restoration. Hopefully, this gives you a good idea of the range and quality that you can get from different scanners on the market. If you want better photo quality, you’ll have to sacrifice speed. However, if you care more about speed, you have a couple of cheap options that will give you good quality results too. Enjoy!